Combining advanced technology, great features, and ample interior space, the 2019 Acura RDX is a fantastic choice for Kyle drivers. 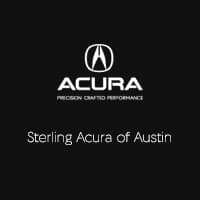 If you’re eyeing your next luxury SUV, or looking to upgrade, explore the 2019 RDX interior at Sterling Acura of Austin. Let’s take a closer look at what the interior can offer you. Visit our showroom today near Kyle to experience the 2019 RDX for yourself. Browse our current inventory of new RDX models, compare the RDX to the BMW X3, or contact us online to schedule an appointment or a test drive.